If there’s one thing we know about the internet, it’s that there are a lot of bored types scrolling through their social media feeds, looking for an opportunity to critique – and reject – someone they don’t know. Le sigh. Khloé Kardashian is the latest high-profile someone to fall prey to this ‘cancel culture’, with some fans shaming the new mum over an Instagram story of three-month-old daughter True. Why are fans “cancelling” Khloé and telling Twitter that they hate her? Because she pierced her baby’s ears, of course! As she celebrated her birthday with close family and friends, Khloé posted the cute clip of True. It’s the mummy-daughter duo’s first birthday together and Khloé was obviously pretty excited to get her little family together. “Here’s my little lady. Look at my little lady,” Khloé says, panning the camera over her baby girl. While most fans were delighted to catch another glimpse of True, some focused in on her ears and the outrage machine kicked in. Yup. They spotted a pair of diamond studs in True’s baby lobes and were not happy Jan.
It’s a tired but predictable response and – despite only being a mum for three months – the latest in a long line of critiques and cancelling Khloé’s been the target of. Followers have already been unhappy that Khloé’s supplementing True’s breastfeeds with formula. They’ve had a go at her for trying to mend her relationship with Tristan Thompson. They’ve told her off for flying when she was pregnant. 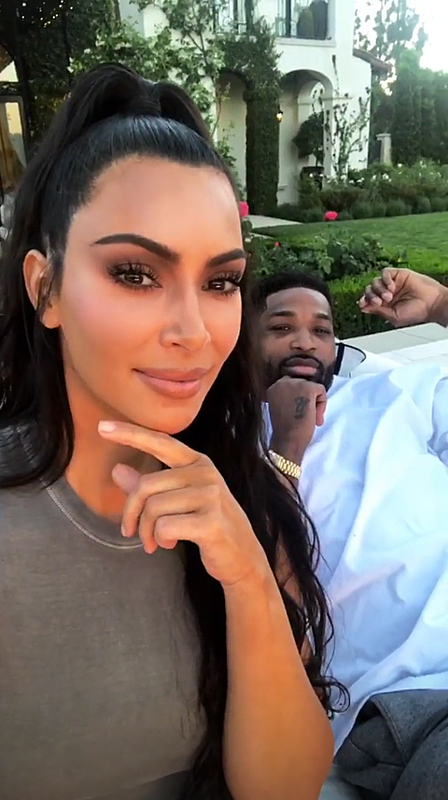 And they’ve told her off for not flying back to her family in LA from Cleveland (while 40-weeks pregnant) when partner Tristan Thompson was caught on camera with other women. Khloé can do no right in the eyes of some, and she’s (sadly) very used to the judgement of people who know nothing about what actually goes on in her life. Sometimes Khloé responds to the haters, but more often than not she carries on with her life, making the parenting decisions that make the most sense to her. It’s gotta be tiring though. Happy birthday once again Khloe💛!! #khloekardashian #truethompson #tristanthompson #kuwtk FOLLOW: @kardashiaankids FOR MORE😘!!! In other Khloé news, the new mum was captured in an adorable photo with sister Kim and their baby girls. In the cute family portrait six-month-old Chicago and three-month-old True sit on Khloé’s knee, with Kim snuggled up beside them. Kim shared the photo in a birthday tribute, commending her younger sibling for her mettle. To unblock or not to unblock? As we mentioned, Khloé celebrated with friends and family – including Kendall Jenner, Khloé’s bestie Malika, Kim, North AND Tristan Thompson. After some tough times, Khloé and Tristan are back together and Kim saw Khloé’s birthday as the perfect opportunity to plead with Tristan to unblock her on social media. Tristan blocked Kim after she spoke out in support of her sister on The Ellen Show and commented that Tristan cheating was “effed up”. 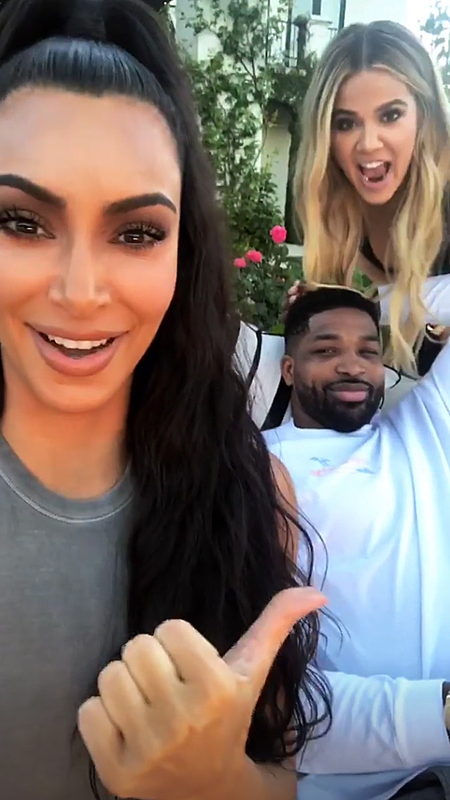 Now that the couple are putting their relationship back together, and things are less fraught between Tristan and the Kardashian family, Kim was apparently keen to be back in the loop on Tristan’s social media. 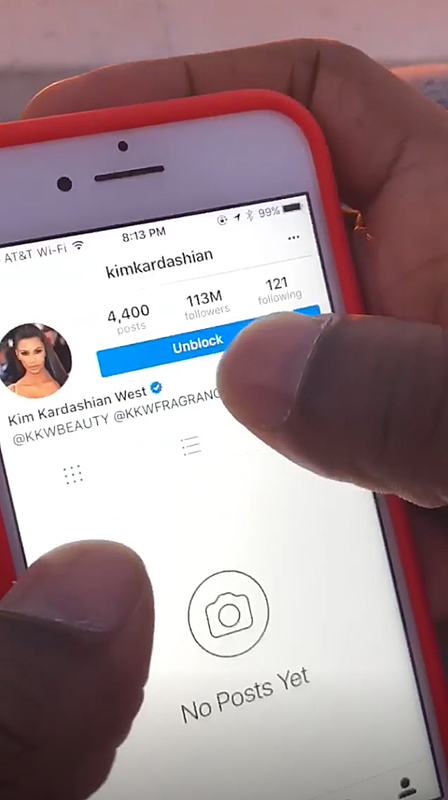 Kim Instagrammed video of herself begging Tristan to unblock her. A grinning Tristan complied, with the moment being captured on Instagram Stories as Khloé giggled through the exchange. “All right, guys. So, what do you think? It’s Khloé’s birthday. Do you think I should ask this guy to unblock me?” Kim asked her followers. “For Khloé’s birthday, I think it’s only right. I got you,” Tristan responds. “There’s no going back now,” he says, after hitting the unblock button. “Now the question is, should I follow you again?” Kim laughs.